According to the U.S Centers for Disease Control and Prevention about 74.5 million people in the U.S have high blood pressure. 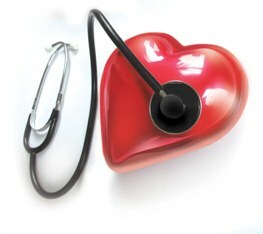 High blood pressure increases the risk of having a heart attack or stroke. To help control blood pressure it is important to adopt a healthy lifestyle, which includes quitting smoking, getting regular exercise and controlling the amount of sodium and fat in the diet. Another tool to help manage high blood pressure is regular massage therapy. In the 2008 study “The Effect of Deep Tissue Massage Therapy on Blood Pressure and Heart Rate”, 263 participants volunteered to receive deep tissue massage to examine its effect on blood pressure and heart rate. The data collected showed an average systolic pressure reduction of 10.4 millimeters of mercury and a diastolic pressure reduction of 5.3 millimeters of mercury. There was also an average heart rate reduction of 10.8 beats per minute. This study showed a significant correlation between deep tissue massage and a reduction in heart rate and blood pressure. The results of this study are encouraging and will hopefully lead to more research in this area.